I listened to an audio compilation of radio clips yesterday from Country 93.3's Pete Potipcoe recorded on May 3rd. Right in the middle, the Alberta Emergency Alert kicked in, jarring and piercing. I heard the same alert when I was in the line of traffic trying to evacuate Gregoire, though I was listening to KAOS 91.1. 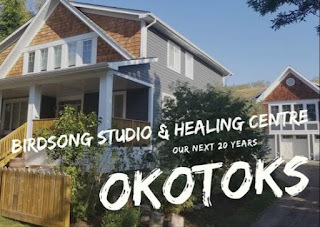 Hearing the voices and Pete, Bradley Karp and John Knox, doing some of the best work of their professional lives in harrowing conditions brought back a memory. I had left town that day with a full tank of gas and a phone that was fully charged. I didn't anticipate needing to use the phone, except to take a few pictures. It didn't occur to me to take my charging cable. Of course, as the disaster began to unfold, the phone became the conduit to information and a lifeline to my family. Cell service quickly became sketchy as the volume of incoming and outgoing calls exploded. I used texting and Facebook Messenger from that point on to let Heather and the boys know where I was and what I was going to do. They did the same. While many people were deeply stressed about their gas gauges, I was focused on my battery indicator on my phone, which was being depleted by the minute as message after message poured in from people and media from all over the world. I try to imagine that day without the luxury of digital connection. I can't; it's too painful to even contemplate. I knew where Heather, Dylan and Ben were at all times. So, you can imagine my fear as the battery dipped below 20-percent. 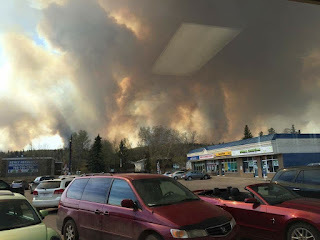 My circuitous journey that day took me from Fort McMurray to the Mark Amy Treatment Centre, back to Fort McMurray where I hit the wall of fire and smoke, then back to the Mark Amy Treatment Centre. When I first turned back south, with thousands of other evacuees, I was heading for the evacuation centre in Anzac. It was only at the last second that I had the brainstorm to see if the Mark Amy folks could spare me a patch of floor. They did better than that. They gave me an office with a mattress, access to a computer and phone, and Chelsey let me use her iPhone charging cord. 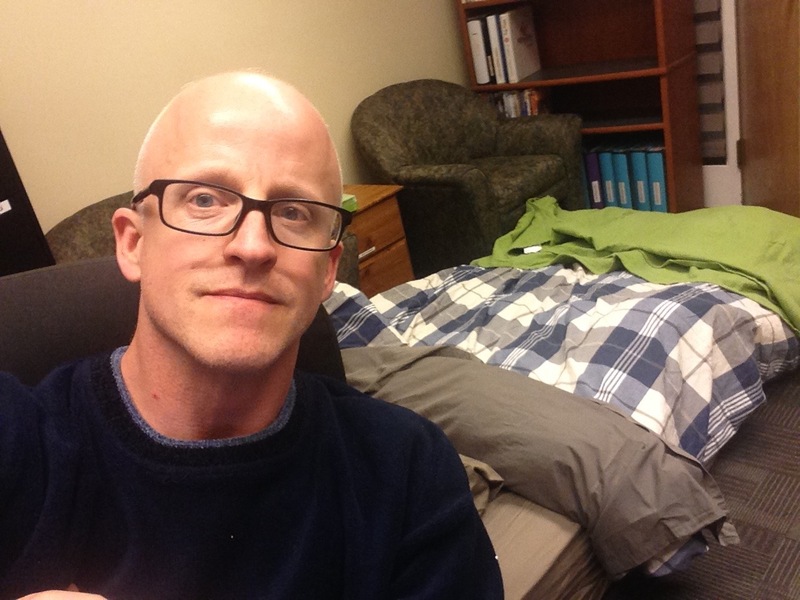 I spent the night of May 3rd on this comfortable mattress on the floor of an office in the Mark Amy Treatment Centre. There are so many wrinkles and fragments of memory from that day. The feelings then, and in the days to come, were intense. Life was happening with such terrific force that it is hard to remember all the little details. Like the habit that many of us have to sneeze into our elbow - drilled into us during the H1N1 crisis - the great Fort McMurray fire has changed how we do things. For me, an iPhone charging cable is a necessity for any kind of travel. Making sure the gas tank is full is important, too. And my level of concern when seeing smoke or fire is on a whole different level. I'm sure there are other things that have changed that I just haven't discovered yet.